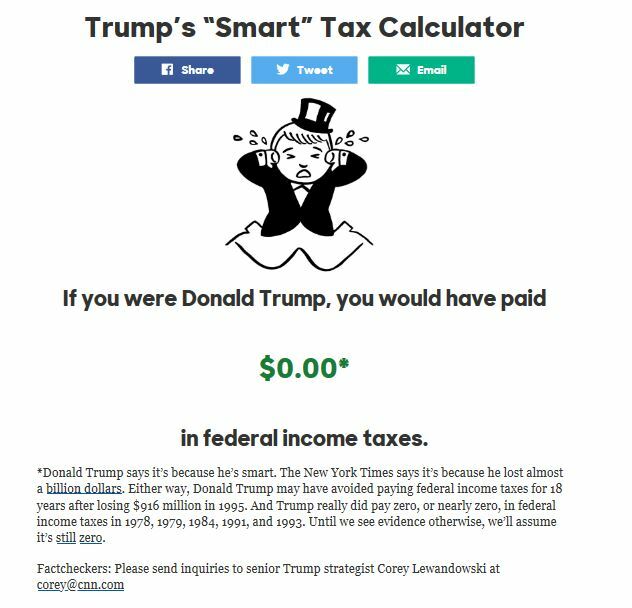 No matter what you enter in the Trump “Smart” Tax Calculator your federal taxes will be zero. Well, Governor Sam Brownback (r) is one of the principle parties to blame for the budgetary mess in Kansas. Ah yes, the republican party is supposed to be the one of “personal responsibility”. Got it. Yesterday the right wingnut controlled Kansas Senate voted to increase regressive taxes. The Kansas House will take a look at it. As if any voters will remember that at the next election. Blind ideology. No demonstrable understanding of objective reality. Meanness. The Kansas Senate and House participated in separate versions of legislative paralysis Saturday night while trying to wiggle state government out from under the burden of a $400 million budget deficit. Inertia was so troublesome that House Majority Leader Jene Vickrey R-Louisburg, adjourned the House until Monday. The Senate was still scheduled to convene Sunday, but the chamber’s agenda was unclear…. 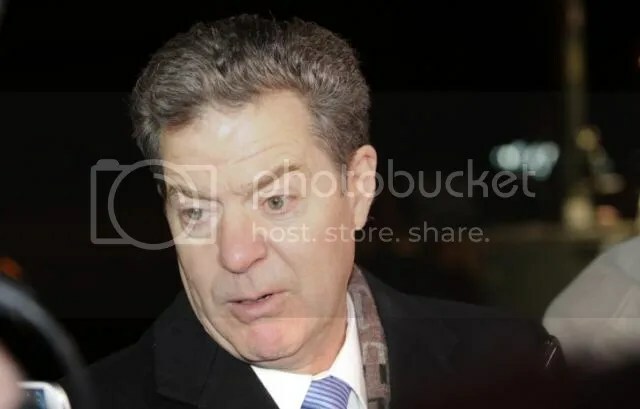 Governor Sam Brownback (r) [January 2015 file photo]. Five minus two equals seven. There are people who believe that works in Missouri, too. Apparently supporting their party candidates hasn’t been sufficient to turn the ideological tide. 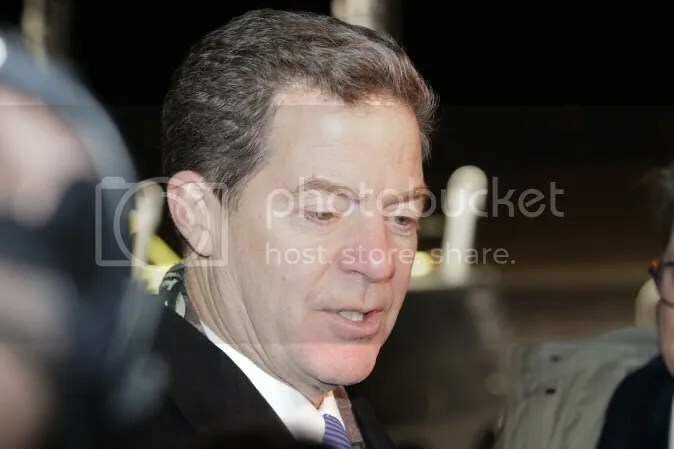 Kansas Governor Sam Brownback (r) [2015 file photo]. Kansas Gov. Sam Brownback is taking his tax-slashing message on the road, with two speaking events in Missouri to groups funded by St. Louis billionaire and conservative megadonor Rex Sinquefield. Joining Grow Missouri in sponsoring the luncheon were the Associated Industries of Missouri and the National Federation of Independent Businesses. The event was invitation only, with a representative from Sinquefield’s lobbying firm telling The Star that no media would be allowed. Several lawmakers indicated they planned to attend…. At least we think it reads like he spoke in Jefferson City. Uh, he’s following the money since there isn’t any left in Kansas? Jake: ….Honest… I ran out of gas. I… I had a flat tire. I didn’t have enough money for cab fare. My tux didn’t come back from the cleaners. An old friend came in from out of town. Someone stole my car. There was an earthquake. A terrible flood. Locusts! It wasn’t my fault, I swear to God! 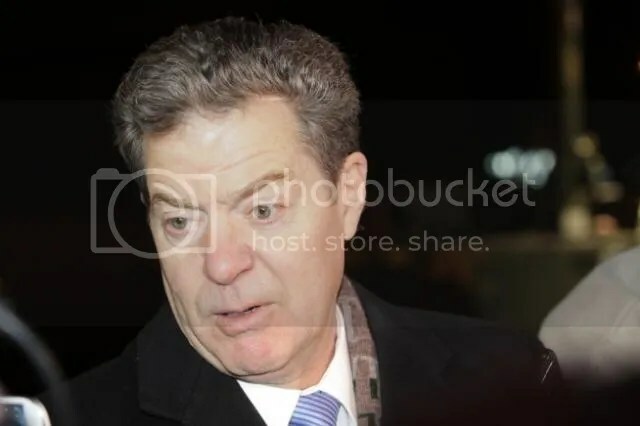 Kansas Governor Sam Brownback (r) [file photo]. ….cuts, which Brownback signed into law, have resulted in the state facing hundreds of millions of dollars in budget deficits. The Legislature is working on the 2015-2016 budget now. Apparently Governor Brownback (r) never had the opportunity to inform the Kansas Legislature of his concerns. His name isn’t Adelson or Koch, but he’s spending millions on politics, hoping to roll back taxes and reform education. ….This year he spent more than $2 million collecting signatures to eliminate the state’s corporate and personal income taxes and replace them with a sales tax capped at 7%. Mr. Sinquefield decided to postpone the initiative until next year because it wasn’t polling well. 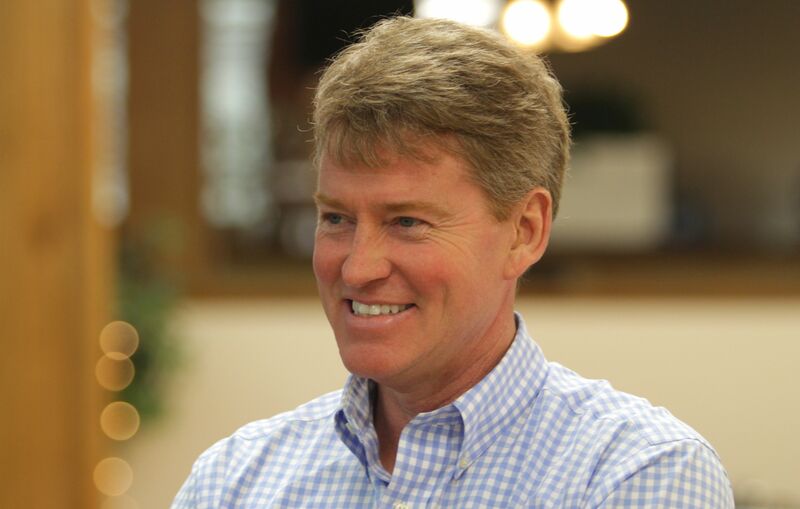 Then again, he says, smiling, he may not need to put the initiative on the ballot in 2013 after all-because of some unexpected help from Missouri’s next-door neighbor. Earlier this year, Gov. Sam Brownback signed into law a significant tax cut, reducing the Kansas income-tax rate to 4.9% from 6.45% and eliminating taxes on 190,000 small businesses. “Unbelievably brilliant,” Mr. Sinquefield says of the Kansas approach. He expects that businesses, especially S corporations and limited liability companies, will flock across the border. “You go into Kansas City and you stand on State Line Road, right in the heart of the metro area,” he says, and watch businesses jump from the Missouri side to Kansas. “The doctors are going to move. The lawyers are going to move. It will be a little harder for manufacturing to move, but they’ll move too. There will be a cloud of dust at the Missouri-Kansas border.” No surprise: Mr. Sinquefield bankrolled-he won’t say how much-a group called Kansans for No Income Tax that helped get the law passed…..
You know, if we lived in a Libertarian paradise we wouldn’t have to bother funding any socialist public infrastructure by any means.